Pony Thought of the Day: Cloudsdale Congress! I will be at Cloudsdale Congress in Alexandria, VA March 9-10. My Little Panel: A general analysis panel on MLP:FIM, including series-spanning themes, character archetypes, and a debate (topic to be determined, but probably Twilicorn Sparkopalypse-related). Brony vs. Brony: MLP trivia gameshow. Six contestants, and any questions they can’t answer go to the audience. Prizes and candy! I will be serving as laptop monkey/Vanna White-equivalent… you know, if Vanna White were a short, fat guy with a beard. A Petite Panel about Ponies and Postmodernism: Basically this blog in panel form, but on a broad, series-wide level instead of going deep into individual episosdes. A Brief History of Saturday Morning: A serious, historical study of the development of North American short-form animation, from the last days of theatrical shorts in the 1960s to the merchandise-driven wasteland of the 80s, through the golden age of the 90s, and culminating in the emergence of MLP:FIM. Totally not at all an excuse to spend an hour showing clips of our favorite cartoons, why would you think that? Can only unicorns become alicorns, or is there a way for pegasi and Earth ponies to do it? 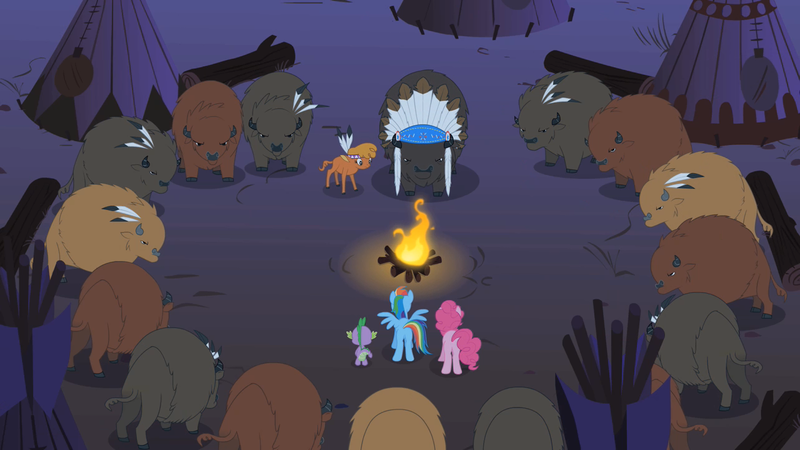 Because it sure seems like nobody but a unicorn could do what Twilight did in the finale, and that means that the three tribes didn’t merge equally to found Equestria (or if they did, they abandoned that equality long ago); the unicorns rule the other two tribes. Every once in a while, I see someone complaining that bronies are an attack on masculinity, or the product of a culture that attacks masculinity, or similar idiotic statements. Whenever I see someone saying something like that, I really just want to laugh while drinking a glass full of their tears. I finally have real hope that this is the generation where, at long last, gender roles die in a fire–and My Little Pony: Friendship Is Magic is part of the fuel. While there are plenty of songs throughout the show, both the second- and third-season finales have been full-fledged musicals. It’s a trend I’d be happy to see continue. The “sofa clerk,” as “Magical Mystery Cure” calls him–the stallion whose Ponyville shop apparently sells quills and sofas, according to its sign? That actually makes total sense as a combination, seeing as they’re both made out of feathers. For all the comments on Rainbow Dash from early in the show, Twilight Sparkle has very nearly the same colors as the bisexual pride flag. If fourth season doesn’t have an episode where Scootaloo and Twilight get flying lessons from Rainbow Dash, with Twilight realizing to her dismay that she really likes flying and eventually uttering the line “Oh no–I’m a jock!” I will be very disappoint. So, the season three finale was unexpectedly good. Great songs (mostly), and the alicorn thing wasn’t quite as horribly artificial as I feared it might be. My only concern now is how we get back to Ponyville, because “Twilight leaves Ponyville” is much more of a series-killer than “Twilight now has wings,” mostly because there is nothing that could get Applejack to leave her farm short of its total destruction, and splitting up the mane six permanently is absolutely antithetical to the show’s themes. And yes, I know about Tara Strong’s tweet. Nothing is canon until it happens in the show. Back in 2011, I was actually more surprised that the new Scooby-Doo was good than that the new My Little Pony was good.